I have been out and about recently watching various new films. 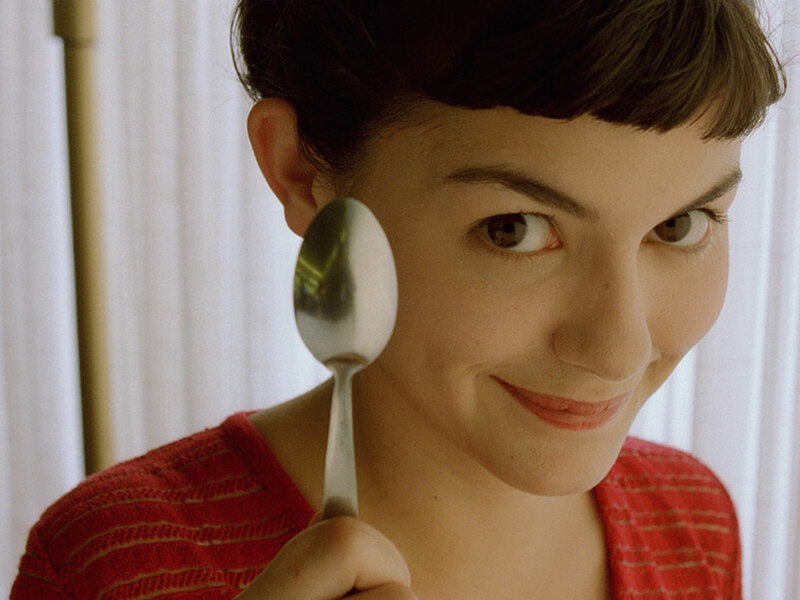 Firstly I got around to watching Amelie at Cornerhouse on Sunday 12 Feb. One of my friends absolutely adores this film and has been telling me to watch it for months. I will admit that I had severe reservations before watching as frankly, I find the poster for the film rather disturbing. Seriously, she looks weird! Look at her here That spoon could easily be an axe and it would not look out of place! Anyway, the film itself was very enjoyable much to my surprise. I found it to be a mix of funny moments, slightly crazy people and bizarre situations. I am glad I finally listened to my friend and watched this film. Second film was a freebie courtesy of The Times+ though I had to travel to the Showcase in Liverpool for the screening. Still, this film about a young boy searching for the lock or box that fits the key found amongst his dead Father's possessions is a film to melt your heart. You see the boy struggle to understand why his Father dies on 9/11, try to form a relationship with his Mother & meet a variety of people along the way. In the end the boy helps another person and in the process helps himself. Woman in Black was the final film which sees Daniel Radcliffe in his first "post Potter" role. He does not disappoint in this film and at some points you almost expect him to pull out his wand and fight the evil spirit! There are parts too that can have you jumping out of your seat. Combining all that with a twisty end, that is both sad & happy, makes this a film worth watching.